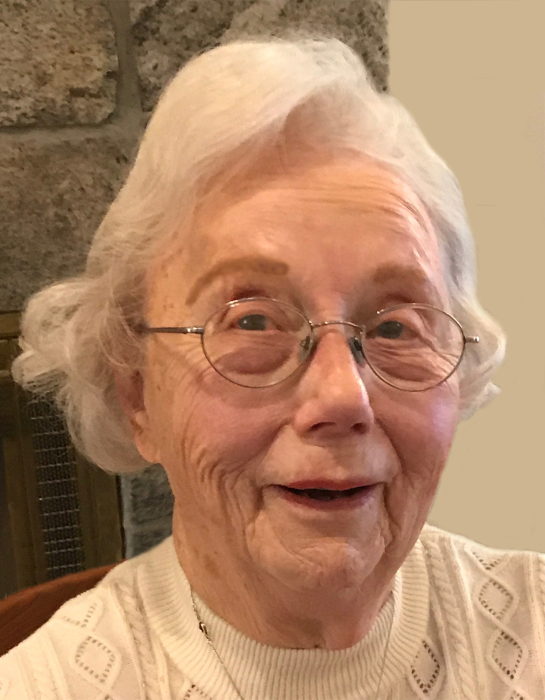 Margaret Ruth (O’Brien) Frew, age 97, passed away peacefully and began her heavenly journey March 21, 2019. Raised in Canton, she is a graduate of Mount Marie Academy (now Central Catholic High School). She then went on to graduate from St. Mary of the Woods College in Indiana. Always concerned with others first, she dedicated herself to a career as an occupational therapist, helping people recover and regain their independence from illness and injury. Her passion led her to pursue and receive her master’s in occupational therapy. After working successfully in the profession for many years, she was chosen to found the occupational therapy department at a local Cleveland hospital. At that time, her academic and professional accomplishments were rare for a woman and she was a true trailblazer for future generations of professional women. Her work led her to meet and fall in love with James “Bud” Frew, who was receiving therapy for polio. They were married from 1956 until his death in 1982. Together, they raised their three children while living in Orange Village. Those blessed to know Meg will remember her as a person of profound faith and unflinching moral character – traits she shared with her three remarkable siblings. She dedicated her life to God, family and friends. She attended daily mass at St. Joan of Arc (Chagrin Falls), St. Maria Goretti (Scottsdale, AZ), and SS Cosmas & Damian (Twinsburg) Catholic Churches, depending on where she lived at the time. She did so until very reluctantly giving up her driver’s license at 95 years and nine months. Predeceased by her parents, Robert O’Brien and Ruth (Stephens) O’Brien; her brother Robert S. O’Brien (Betty - deceased) and sister, Frances Patricia (Pat) Joliet (John – deceased). Meg will be missed by her brother Richard (Jean) O’Brien of Aurora, Ill., and her three children, Heather (Bill) Bonn of Bountiful, UT; Valerie (Bill) Toth of Burton; and Lance (Shelley) Frew of Hudson. She is also survived by her grandchildren, Brian (Nadia), Scott, Eric, Susie (Jack) Rostas, and Trevor Bonn; Cindy, Will (Cristin), and Karah Toth; and Ryan, Jessica, and Kelsey Frew, and by her five great-grandchildren and a host of nieces and nephews. A Mass of Christian Burial will be held at SS. Cosmas & Damian Catholic Church 10419 Ravenna Road Twinsburg, OH 44087 at 10am on Saturday, March 30, 2019. The family will receive friends at the church for one hour prior to the service. Interment of her ashes will be private and held at a later date. In lieu of flowers, those who wish may make a donation in her name to the charity of their choice. Arrangements by Stroud-Lawrence Funeral Home Chagrin Falls, OH.